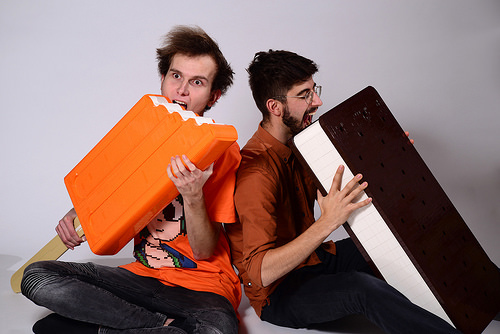 At first glance, these LEGO popsicles look totally sweet. 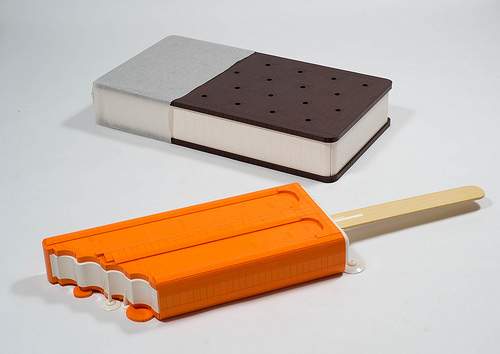 A collaborative creation by Carl Merriam, Niek, and Milan CMadge, the twin models perfectly capture the shapes of an ice-cream sandwich and a half-munched orange popsicle (or “ice lolly” as it’s known where I come from). However, regardless of how nice the models are, you might wonder why it took 3 builders collaborating to create them. Well, it all comes down to the sheer scale of the endeavour. Perhaps the image below will make everything clear? It’s only when the massive size of these models becomes apparent that you can truly appreciate the effort and skill which went into their creation. Genuinely amazing stuff gents — well played.